Massive powerful engines. Lean, muscular chaps and chapesses. This isn't the launch trailer for the new Need for Speed, but Farming Simulator 2013 on 360 and PS3. The game is going to allow you and up to 9 pals to get their hands on a brand new Combine Harvester and a brand new key. I've seen many launch trailers in my time and the Farming Sim 2013 one if actually pretty useful. A narrator informs you of some of the aspects the game contains, although it could so with a little more dubstep. Farm Sim 2013 has already been out on PC for almost a year, but the console versions do get some added American farm extras. The console versions of the game are out to buy now. What are you doing? Get out there and buy it! 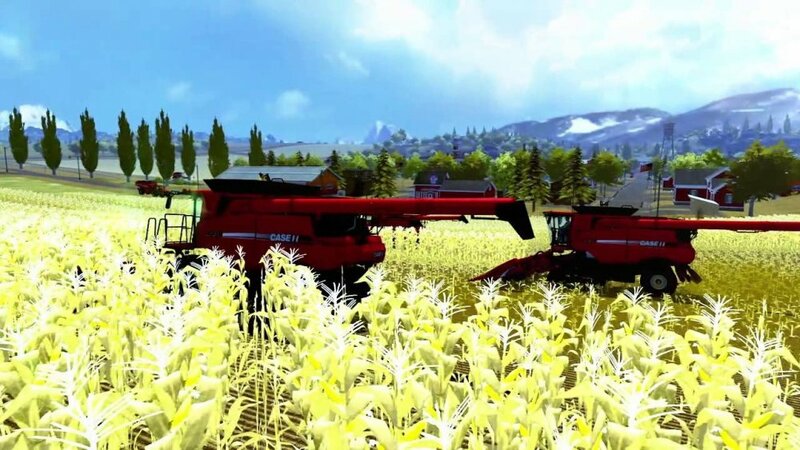 Three Videos To Get You PUMPED for Farming Simulator 2013! Farming Simulator 2013 Launch Trailer for Expansion Pack "Titanium"